In the process of moving, I confront just how tightly enmeshed my life has become with the backyard woods of Forest Park, and realize that she might need me to stick around. I lay there in the snow, barely conscious. The winter wonderland that once constituted a short visit to this backyard forest has become a dark, cold and formidable opponent. Howling wind. Crashing snow. And the loud cry of my throbbing, swollen kneecap. It’s late one February evening, and I had just stepped into Forest Park for a few miles before darkness won. A cold front just battered Portland, Oregon leaving the forest a warzone. Downed trees, mudslides, bloated streams, heavy snowdrift, slabs of ice. On one passing of an all-to-familiar bend in the trail, my foot slipped on ice and knee met the sharp nose of protruding rock. Snap-crackle-pop. Broken bone? Nothing was certain but the excruciating pain. The sky is spinning, it’s getting dark, and I have no light source. Not a single other soul. Suddenly, a loud moan comes from the forest, to my left. Hairs on my arm stand tall. Discerning eyes peer into the darkness and, at that very moment, CRACK! A huge tree 15 feet away lets out one final martyr grunt and falls to her graceful death, surrendering to the weight of both snow and age. The forest is alive, and she had stopped me to show her wildness. Deeply moved, slightly frightened and convinced of hallucinations, I immediately turn and hobble the remaining miles slowly and painfully back to the road. This is my backyard. This is my sanctuary. This is Forest Park. So, I’m currently in the process of moving. Moving from a quiet residence tucked under a splayed wing of this powerful and animated place: Forest Park. She’s one of the only city wilderness parks in the country. A 5,100-acre space protected for plant and animal to thrive. Six times bigger than Central Park, NYC. Five times bigger than Golden Gate Park, SF. This is a place for weary city soldiers to regain a cadence of more natural rhythms, to pull back the reigns of life and join a pace tempered by the long-standing guards of fir, cedar and hemlock. You see, I am attached to this place. Dependent upon her proximity. And I’ll be the first to admit that I seek refuge here on a regular basis. Refuge when thoughts or emotions weigh too heavily. Refuge from my other life as a Macbook-staring, supermarket browsing, Facebook-updating modern human with modern desires, no matter how much I try to detest them, avoid them and resist them. My relationship with Forest Park is part of this resistance. She is part of my affinity group, and I am part of hers. And together we fight to remember who we both truly are. 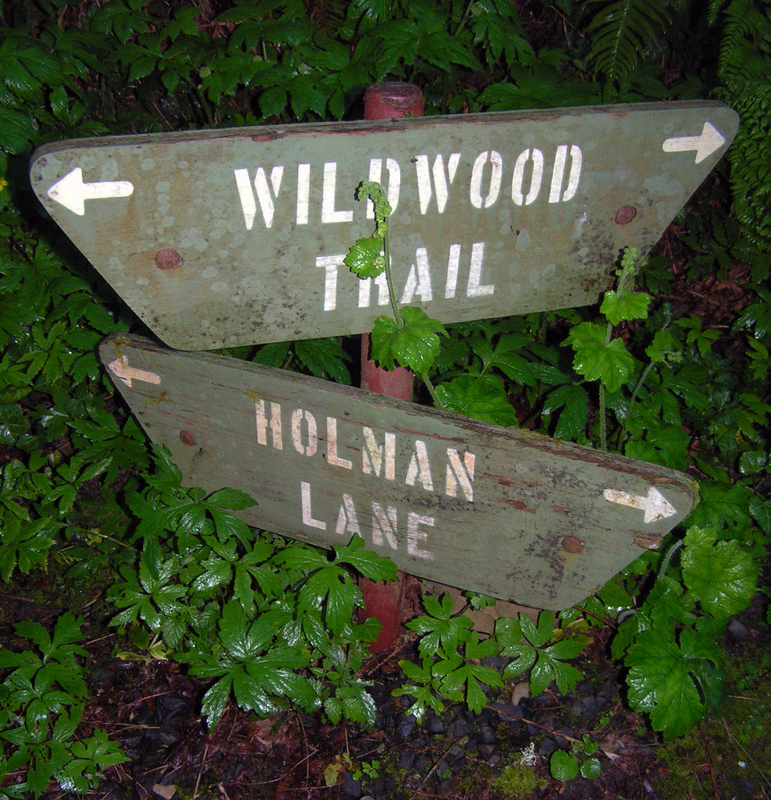 Following a section of the 70 miles of trails, I dip in and out through gardens of fern and ivy, moss and wildflower. Streams immortal carve veins into the hillside, dictating a rhythm synchronized with breath, body and thought. 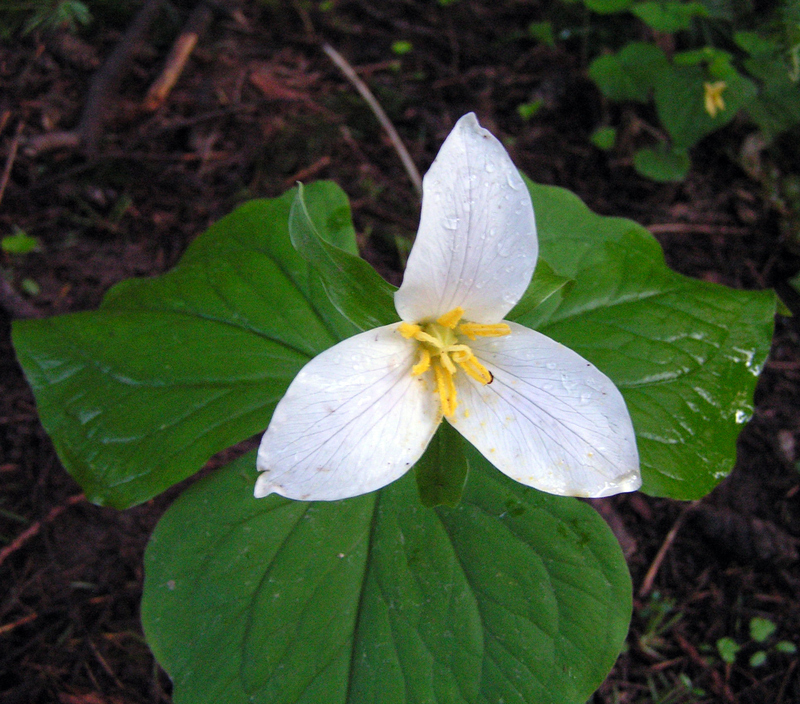 Spring has arrived and the trillium celebrates by innocently exposing her three white petals. The Sacred Triplet, a number known by religious traditions to be divine unity, the balance of heaven, human and earth. The upper world of the spiritual, middle world of everyday ego and underworld of psyche and soul. In Buddhism, the Three Jewels of Buddha, Dharma and Sangha. Also, the three ingredients for atomic composition: protons, electrons and neutrons. Past, present, future. As I pass by these triadic treats I observe their graceful maturation, with petals rosy and purple. Adopting new forms of being. A poetic becoming and departing into the Mystery. Taking the cue from longer days, slug often leaves home to putter along in these wet but warming conditions. As I curse under my breath about the 40 inches of rain delivered annually to Portland, slug dances gloriously in such weather, a defense against desiccation. His leisurely journey reminds the mind to slow, to let go and embrace the elements, to loosen arms and legs. To him, I am a meteor passing, a fumbling, earthquake-slinging giant upsetting his peaceful path. His soft gelatinous body travels honestly, without shell or feathers to hide vulnerabilities behind. Slug is sincere. The sun has finally come out, and my soft animal body glides along the earth spine of a serpent as warm pockets of air brush across my face and chest. Roots of sunrays dangle from the sky wrapping the upper canopy in warmth. It is the ground below that is tasked to accept such selective filtration, receiving an embrace from only the most enduring rays. Oh, brave light, how committed you are to the perpetual layered journey of nourishment: Of plant, of animal, of elements. The sun’s journey doesn’t discriminate with this feeding, so invasive species also flourish here. English ivy has colonized much of Forest Park and is suffocating its native inhabitants. We western humans, we fellow colonizers, we fellow invasives, spend countless hours controlling the encroaching species. Survival rings to protect the trees. Might this be some cathartic exercise to address our own shared kinship with these intruders? What about controlling our own advancement upon the world, its resources, it’s wildness? We may have more in common with the ivy than we think. As the tide of ivy recedes and regenerates, so too has encroachment of human stresses upon the park over time. Logging. Resource extraction. Fires. Presently, pervasive housing development projects continue threatening her borders. Such intrusion exists in the psyche of the land and in the collective psyche of those living here, those who continue to perceive trees as paper bills. As a result, Forest Park is not a truly wild, untouched, self-willing environment left to her own devices to flourish unmodified by others. In many places, the trails are groomed, the drainage dictated, roads cut across it, powerlines buzz over it. This is true, and if anyone crunches a leaf underfoot here thinking they are entering primordial forest, they are stepping into an illusion. Yet, despite all of this, Forest Park is in recovery. It was wild, but has been severely abused, traumatized and is now in the process of remembering. 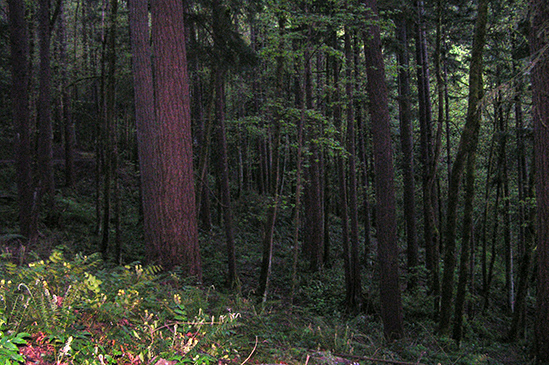 Rebounding from the late 1800’s when loggers nearly desecrated the entire area. Rediscovering its own character, one of strength, diversity and uniqueness. Roots are gaining confidence and beginning to explore deeper into soil. The girth of trunks are growing wider, branches reaching out to mingle again with other developing flora. Like the park, I too am beginning to grow a different direction now. My roots are starting to force their way downward through the poisons of our past and present and into the rich, dark humus of the ancient. My branches are rubbing their bark with those also recovering from a wildness lost, a diverse forest slaughtered. I am beginning to remember. The park obviously doesn’t really need me. She’s probably better off without 7 billion of us anyway. But given the current context, given the realities we face with our ecological crisis, I feel she needs human representation, support and advocacy now. Through over four years and hundreds of experiences here, my mind has mapped out countless roots, rocks and features on and off-trail. This is a place I now intimately know and call home, one retaining forms replicate to a past void of billboards, smartphones or TweetFace. I have now become one of her messengers. We all need a place like Forest Park. Not for us, but for the future of the planet. For native animals and plants. For a transition into a wildness lost. The world needs this. Because one will not defend and protect what one doesn’t identify with, value and love, and such natural spaces feed us, teach us and nourish us. A strictly urban existence does not. Its food can only be purchased. Its lessons are of productivity, homogeneous thought and unfettered growth. Urban spaces require us to wade through layers of manufactured love. Uncloak it and you find a puttering old machine spewing the dark smoke of profit. “The most vital beings and systems hang out at the edge of wildness.” – Jack Turner, The Abstract Wild. Let us have the courage to turn our backs from this story, this way of being, and instead co-create a new story, a new cosmology, pointing our hearts toward a new way that embraces the Real, the self-willed, the wild. Perhaps then we shall discover some true lessons. So, this is Forest Park. This is interdependence. This entry was posted in Essay and tagged Forest Park, Preservation by Nicholas Triolo. Bookmark the permalink. How I was immersed, twice, in this soul search of your balance with nature. Beautifully told through the eyes of your beloved Forest Park. Thanks for the view inside both. Please say you’re not moving out of Portland? 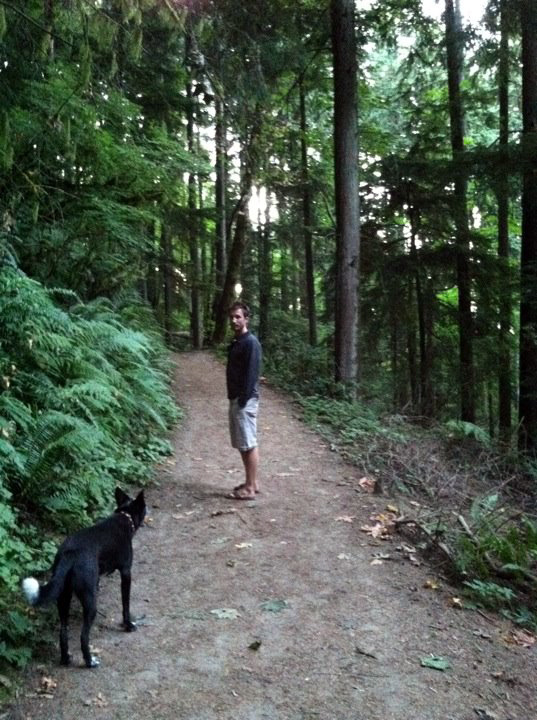 I moved away almost four years ago and spend my time either stuck in the humid, tacky, cement labyrinth that is Miami or in the glorious Tuscan countryside – neither of which contains anything that compares to the trails of Forest Park or Portland in general. Reading your blog is something I can rely on to remind me that the place I dream of returning to still exists, is waiting for me. I’m not moving from Portland, no! Just a different place 🙂 Thank you so much for reading my work Carolyn. It truly means the world to me. Just wanted to say that I will be cheering for you this weekend at WS100 – along with many others, I’m sure, in Portland! Good luck, run hard, and enjoy! And how the places need us as well in some mysterious way, not just as advocates but as reciprocal beings that actually help to constitute that very place, just as the forest needs the hemlock or cedar and can’t be herself without them. This is certainly the forest herself speaking through the screen – just as surely as the forest speaks through rustling leaves or chattering douglas squirrels or the gentle eruption of a single trillium blossom that catches the eye of someone struggling to remember something that truly matters. Thank you my friend for helping me to remember today. Great post Nick. Really enjoyed it and, although I’ve only run in FP a couple times, I can appreciate sentiments and am slowly forming similar interdependencies with my home trails. Thanks for sharing as always! This post is my favorite! You took your readers on a ride that I felt compelled to share with my readers: http://biocadence.wordpress.com/2012/05/09/shout-out/. Congrats on your last race! Please don’t ever stop writing! I hereby nominate you for the “One Lovely Blog Award”! You are #5 on our list of nominees, in no particular order. Enjoy!! (http://biocadence.wordpress.com/2012/06/06/one-lovely-blog-award/)… I hope you’ll follow the tradition of the “One Lovely Blog Award”… I’d love to see what you do with it!!!! That’s amazing! Thanks so much, means the world to me. I’ve been so busy with training for this race on Saturday. More writing post-race for sure! You too are doing such incredible work. Please keep it up!